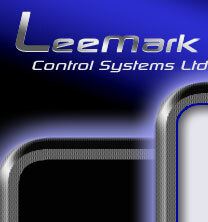 Control strategies vary between projects, each system we design & commission is completely unique. Moulding the electrical design and process control software strategies around the customer's specification allows us to tailor project requirements and achieve complex design goals. Energy conservation - Control systems designed with energy expenditure as the main priority. Projects aim to provide energy saving, drastically reducing cost per unit output. Functionality - Creation of control systems with increased flexibility to overcome machine failure, resulting in reduced downtimes. Control philosophies that encapsulate selectable modes of operation, from manual to fully automatic. Traceability - Advanced logging features incoporated into HMIs using custom VBA routines to track every step of the control process. Decreasing maintenance "time to fault" and improving quailty control. Seamless integration - Most customers request minimal downtime constraints on large scale turnkey projects. Full simulation of process control software and high quality FAT (factory acceptance testing) ensures near seamless switchover of retrofitted systems.